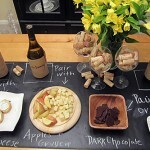 Create a space for enjoying your breakfast that works harder by incorporating clever storage. 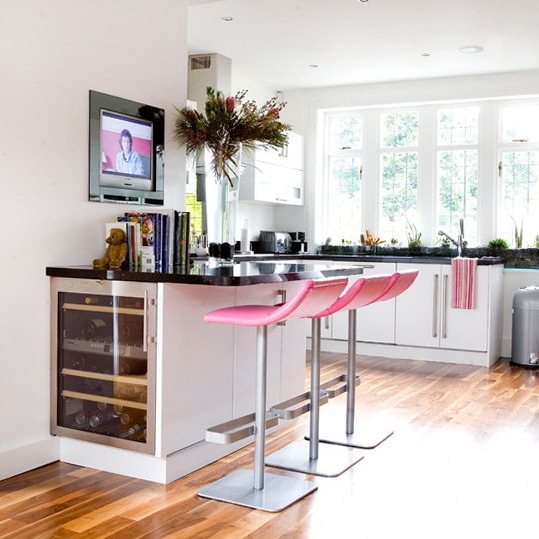 This unit and worktop doubles up as a wine cooler and zone for entertainment, thanks to the TV recessed into the wall. Cool, calm and collected, a small island unit blends into the whole room scheme in this Shaker-style kitchen by continuing the tongue-and-groove finish. 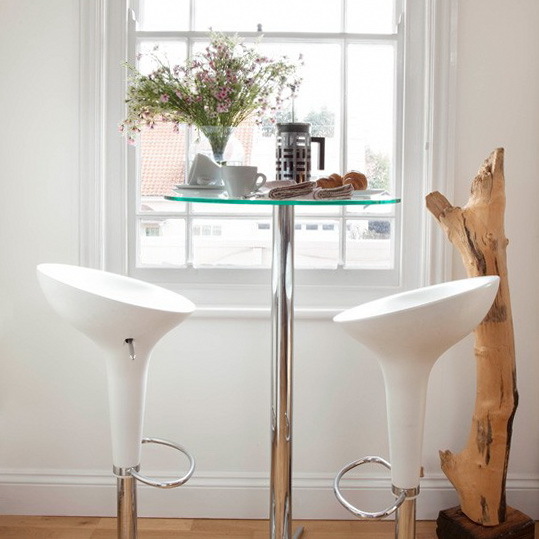 A pair of quirky stools are a great way of injecting some personality into a subtle look like this. Adopt modern country style by teaming dark wicker with exposed brick. 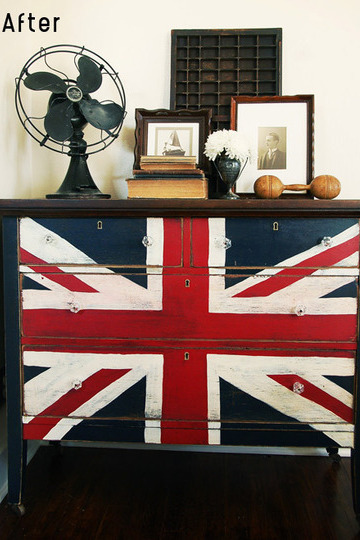 Keep everything you need for a luxurious breakfast feast to hand with a country-style dresser – one like this would be great for storing crockery and food alike. 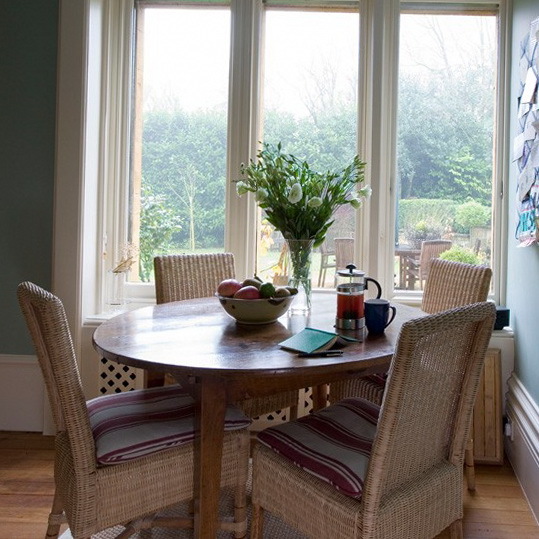 Make the most of limited space by creating a breakfast zone near a beautiful view, like this one. The elegant chair and table set, classic colours and simple details mean that this would be an ideal spot to relax. Don’t have room for a breakfast area? Think again. Simply pair a cafe-style pedestal table with tall, statement bar stools, and you’ve got a combination that will create a relaxing spot in even the smallest of kitchens. 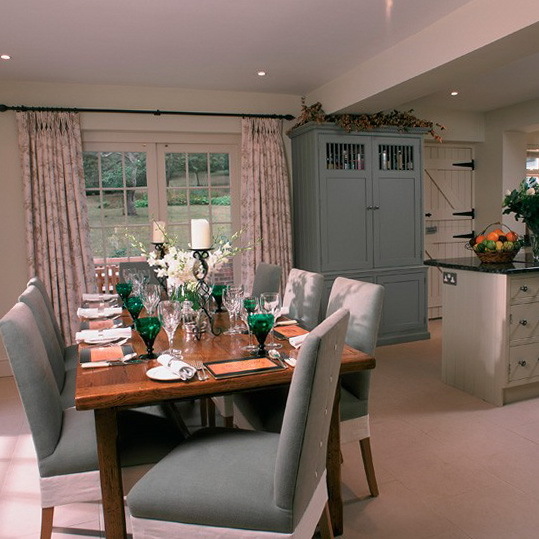 In family kitchens, it can be difficult to find the space for a breakfast area. 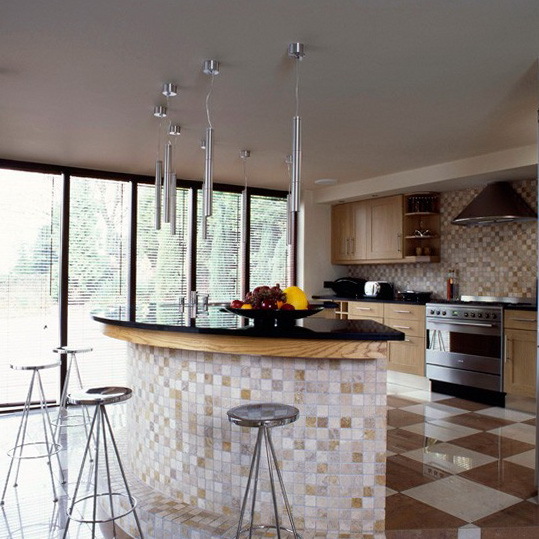 By including some extra space at the end of a kitchen worktop or island, like in this warm modern example, you can create enough space for a small breakfast bar that will also help turn the room into a living space. 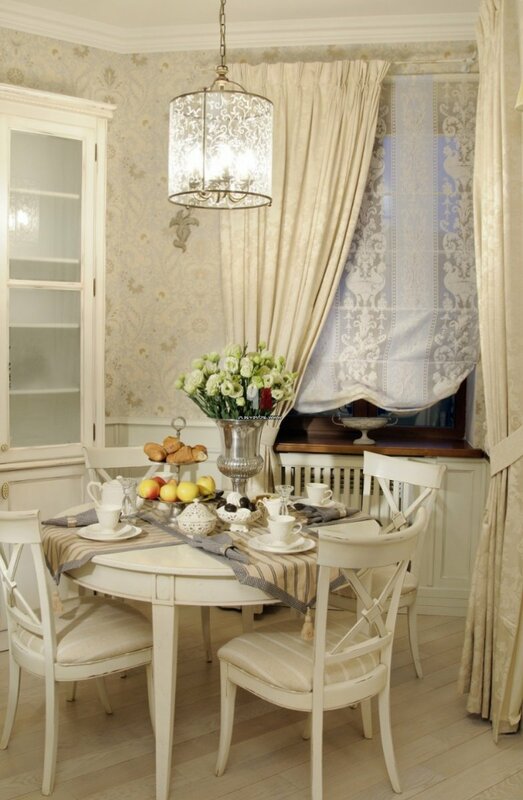 Wake yourself up in the morning by creating a light, airy feel in your breakfast room. 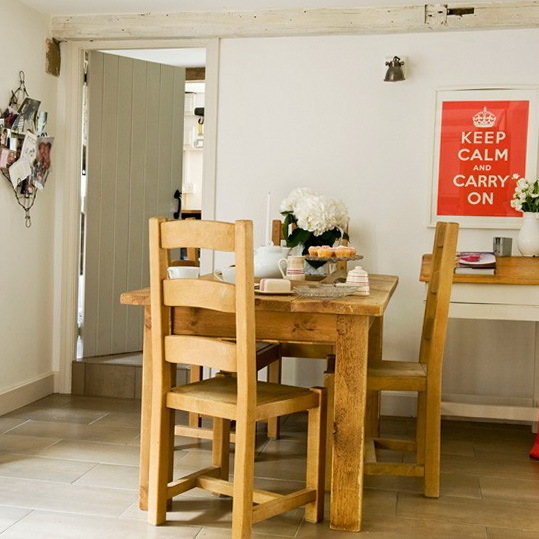 Here, neutral walls are brightened up with warm, chunky furniture and some motivational letterpress posters. 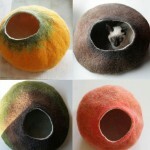 Great if you need a little extra help in the mornings! Create a calming, country-style breakfast area with natural materials and finishes, like these linen finish chairs and warm wooden counter. 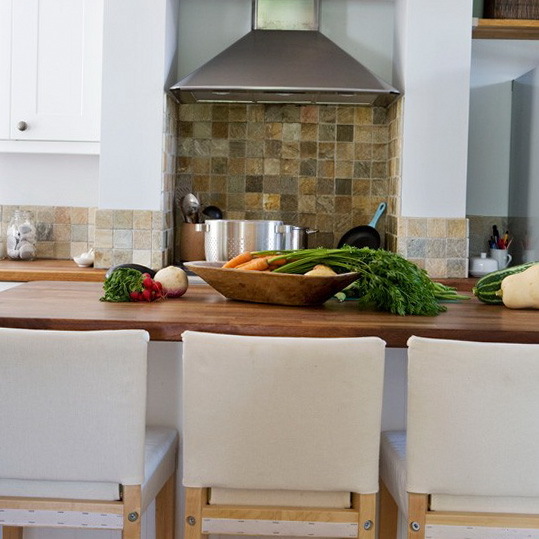 Make your room work harder by including a worktop that also doubles up as a counter. 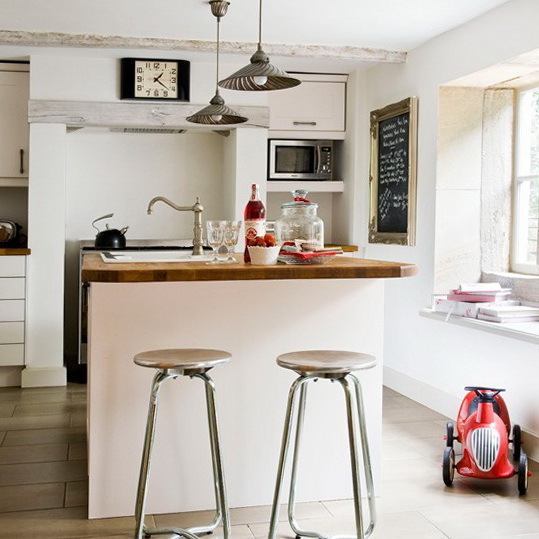 For a cafe-style feel, a statement kitchen island, like this curved example, will do nicely. It clearly defines the room into separate zones for eating and cooking. A series of pendant lights finishes the look. 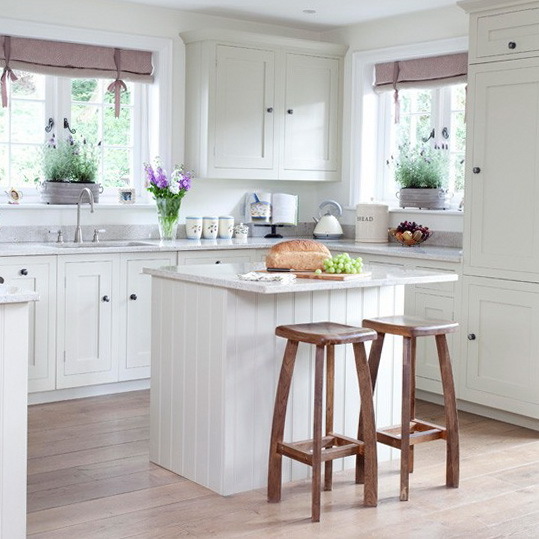 For a traditional feel in a larger kitchen, create a formal breakfast area with an elegant table and dining chairs. 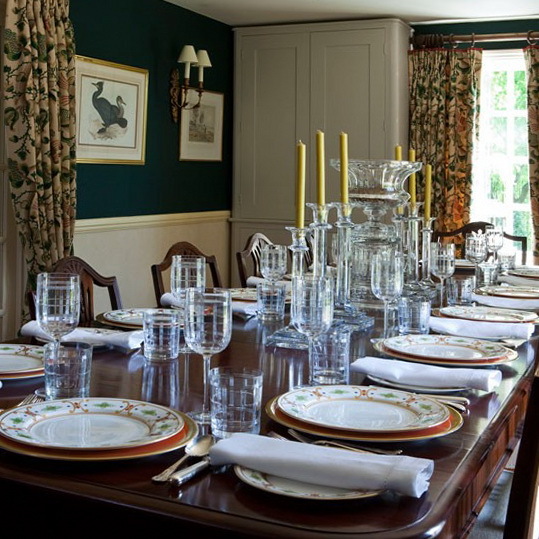 This soft green tone complements the warm wood finish of the table and creates a relaxing space for eating.